How did four cheeky lads from Liverpool - John, Paul, George and Ringo - become the greatest rock band in the world? 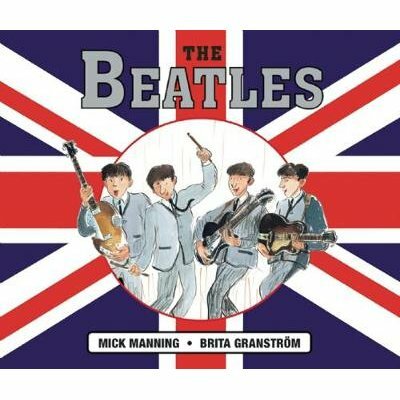 Mick Manning and Brita Granstroe m tell the amazing story of The Beatles with captions and strip pictures for fans of all ages. The story begins... John Lennon' s Liverpool childhood, his Auntie Mimi, his school band The Quarrymen; the developing friendships with Paul McCartney and George Harrison and the forming of The Beatles together with Stu Sutcliff and Pete Best. From amusing adventures in Hamburg to the arrival of manager Brian Epstein and record producer George Martin. Then Ringo Starr joins the group; fame and screaming fans; the famous tour to the USA; the making of the albums, key hit songs and early films... then the later years, with the gigantic Sgt Pepper album, their visit to India, the making of Magical Mystery Tour. Finally the break-up of the band and the new beginnings of solo careers for the Fab Four.